Learn what tools to use, the organization system, and how a bike is put together...by taking them apart. 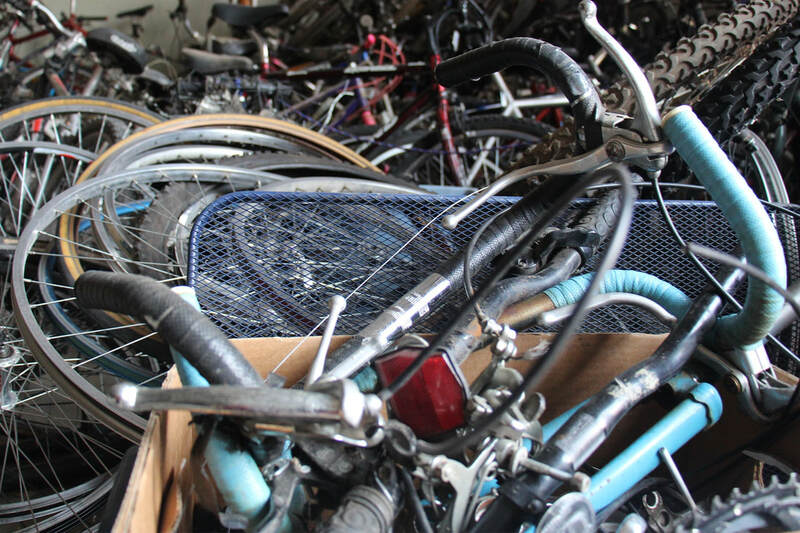 Wednesday Night Salvage is the best place to start volunteering at the Bike Library. It's also the most important night of the week here at the BL. This first area of work for those wanting to get their hands dirty, and keeping bikes & parts organize is integral to keeping thing running smooth. New volunteers can get a feel for the Bike Library and our operations. Bikes unfit for repair due to frame damage or simply poor quality of design or manufacture may be stripped of usable parts. Dismantling bikes is a great way to learn how the machine works as well as getting to know the tools of the trade. Stop by the Bike Library to fill out a Volunteer Application.